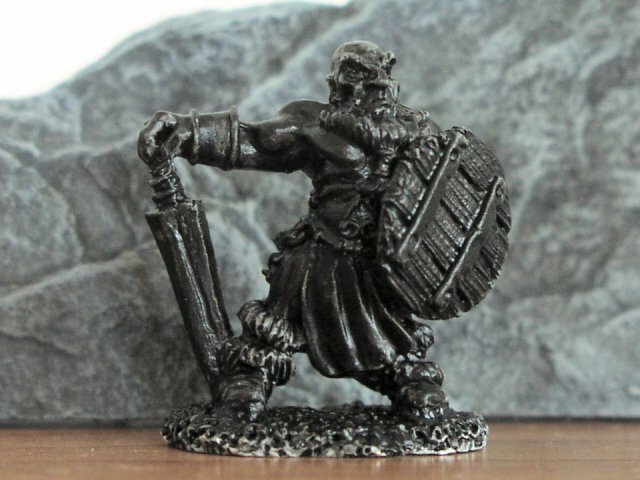 For my first work-in-progress report, I selected the Gnome Barbarian by Jason Wiebe from Reaper Miniatures’ Dark Heaven Legends series, though this figure looks more like a dwarf from my perspective as a Dungeon & Dragons player. As with any miniature, I began by preparing the model, carefully trimming away flash and filing off mould lines. I also found his flat sword to be rather boring, so I incised a crude fuller to give it a more interesting and realistic appearance. 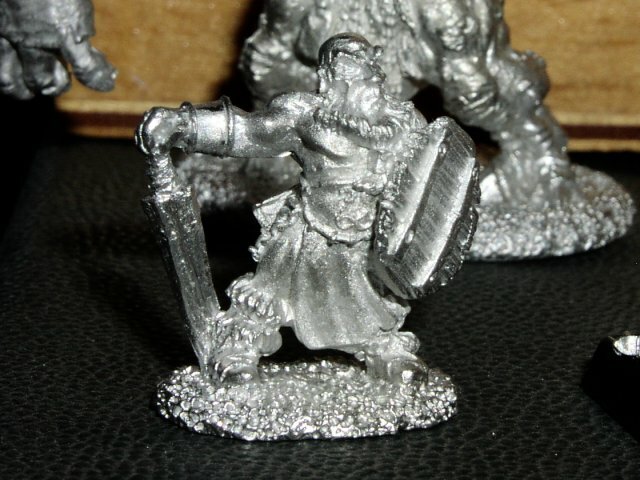 Once the model was sufficiently clean, I primed him using Coat d’Arms Grey Primer. I gave up on spray primers long ago, so this step was accomplished with a brush. I followed the primer with a thin under coat of black paint to help define shadows and to provide a superior base for metallic paints. Next, I will begin applying the model’s base colors.